Everyone wants to wake up looking their best. It simply makes getting ready for your day easier if you don’t feel that you have miles and miles to go in order to look presentable. Essentially, these are things you can do the night before and/or on a regular basis in order to be flawless in the mornings. (Check out this post for things you can do to have a good night’s rest and make the rest of your morning easier). For now, we’ll be focused on how to look fly and check that off your morning list. 🙂 Let’s go! 1. Get a good night’s rest. If you’re tired when you wake up, this is the first thing to fix in order to look your best. If you are tired, chances are you’re going to look tired as well and that is never a good look. Catch those Z’s and you’ll be off to a good start. 2. Make sure to thoroughly wash your face. Don’t just take off your makeup. Get a good cleanse in before you go to bed. All the work that your body does to repair your skin from the previous day can’t be done well if you don’t give it a fresh base to build upon. Your skin will thank you by looking radiant in the morning. 3. Moisturize. Your face and body needs this everyday, even if it doesn’t look like it or if you have oily skin. Quick tip: for rough feet or hands, put on a heavy cream and put on some fluffy socks and/or some cloth gloves overnight to wake up to super smooth skin and moisturized cuticles. 4. Exfoliate regularly. I mean for the whole body. And for extra rough or thickened areas (like the bottom of your feet and elbows) use a scrub/pumice stone. 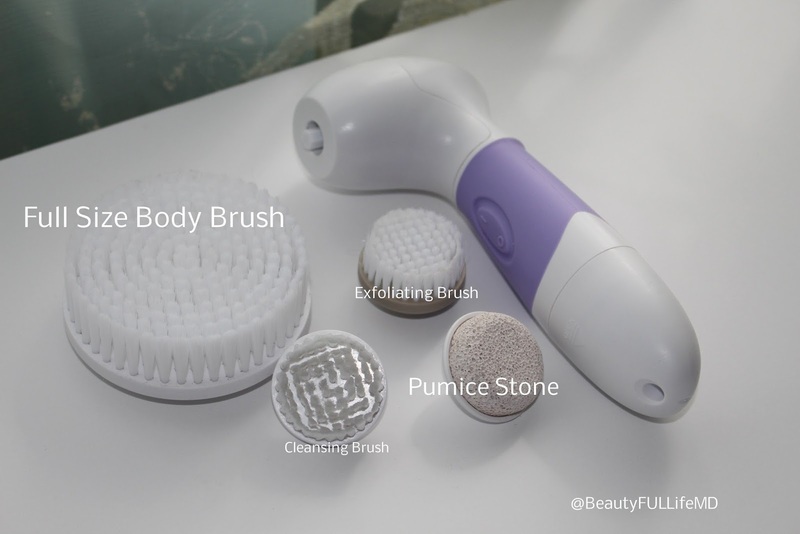 Maybe some of you have heard of the Spin for Perfect Skin brush from Vanity Planet. This is not a sponsored mention, but I’m just in love with this product, it literally changed my life. It has four different heads that you can switch out for a total body cleansing experience. You think you’re all squeaky clean and then you use this brush and see how much you missed. So many Youtubers have codes so you can get it for about $30 (70%off! ), but unfortunately, I do not have one to offer you. Lol, look around youtube, you’ll find it super easily. I actually got my code from Groupon, and it was only $20! 5. Sleep in a satin bonnet or use a satin pillowcase. This is not only for my curly haired girls out there. This is for everyone who has some length to their hair. Laying your head on a cotton pillowcase for 6-8 hrs (along with all the turning we do at night) can cause frizz and breakage. Avoid it, and have more manageable hair in the morning. Go with the satin. 6. Don’t forget about your lips. A nice sugar scrub before bed will do wonders. 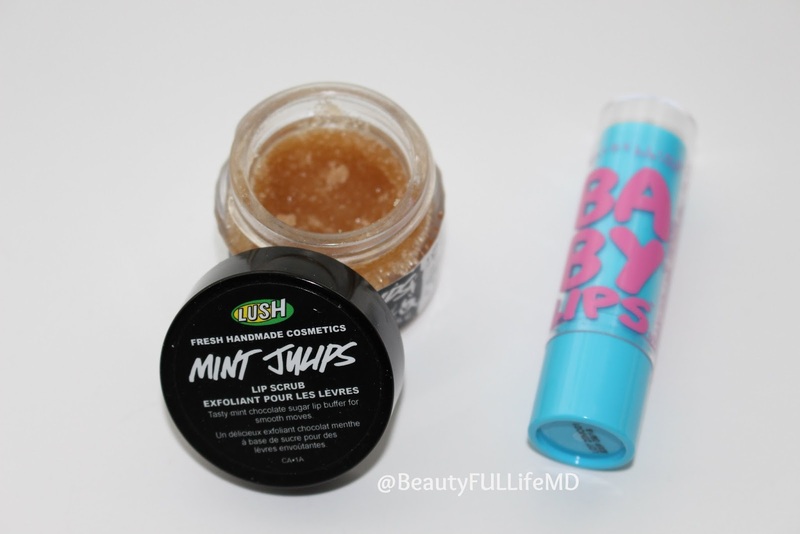 I’m in love with the Mint Julips lip scrub from LUSH, but these are also easy to make at home for yourself (comment if you’d like me to show you how in a future post!). Especially with the trend of matte liquid lipsticks (which I am all up into) which can be drying, our lips need some TLC too. Finish off with a lip balm and wake up with smooth lips. 7. Two Words: Cocout Oil. Put it everywhere! It’s amazing for your skin, hair, nails. everything. I started using it all over my body and face after my showers and noticed my scanty eyebrows and lackluster lashes begin to look a little fuller. Amazing stuff. Quick Tip: For the lashes and brows, if coconut oil doesn’t help, try castor oil! Consistency is key. 8. Drink a glass of water before bed. We have to hydrate our insides too. This gives your body something to work with while it’s working away to repair your skin. 9. Zap pimples before they can get worse. Sure you’ve heard this before, but a reminder is never bad. 🙂 Feel (or see) a pimple getting ready to rear it’s ugly head? Dab on some toothpaste and wash it off in the morning. How about those horribly painful ones that don’t quite come to a head and stay under the skin? Dab on some Vicks, and over night it might go down quite a bit. I didn’t believe this until I tried it myself. It nearly flattened it and the pain was not so bad. 10. No nail discoloration. To save your nails from discoloration (maybe from a dark polish or even curry [yes this happens to me sometimes, lol]) use and old toothbrush and some whitening toothpaste. Scrub, scrub, scrub! And they’ll look good as new. 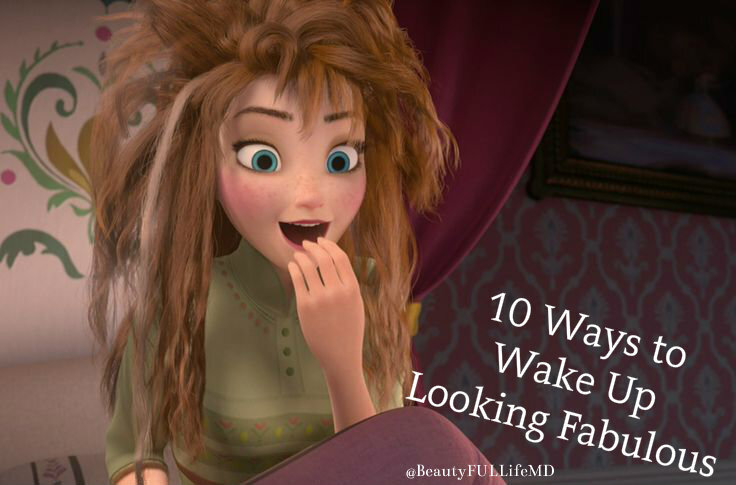 Hope these tips help you look your best in the mornings before even getting ready for the day! Do you have any other tips that you use? ?